Gran Canaria's music by the beach scene went international last year with the first Maspalomas Costa Canaria Soul Festival on San Agustín beach. It's a sister festival to the famous Porretta Soul event held every year in Bologna, Italy and it's back on in 2016. Then there's Bioagaete. Gran Canaria's homegrown music festival started in 2012 when a local electrician and music fan called Rastatún decided to bring good music and free fun to Agaete town in north-west Gran Canaria. The free event gets bigger every year but is still organised by a group of locals wearing flip flops. All money raised at Bioagaete goes to charity. Bioagaete 2016 is from 18-21 August. 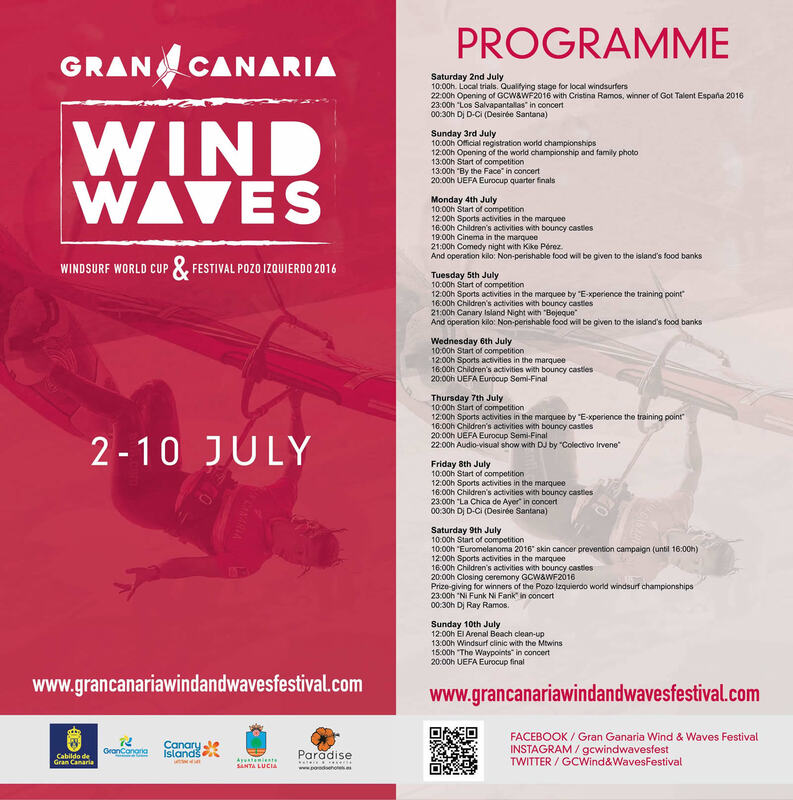 Founded by the Moreno twins Daida and Iballa, Gran Canaria's all-conquering windsurf stars, The Wind & Waves Festival is a celebration of all things windsurfy and features live music on a stage right by Pozo beach. Wind & Waves runs from July 2-10. Here's the 2016 programme.